Solar Hydrogen Civilization is a great book because a great man wrote it. 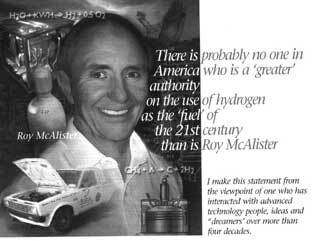 I have known and worked with Roy McAlister for over 10 years. He has been my true friend and mentor and I can tell you for a fact that he is a living legend. Roy will be known in the history of energy more prominently than Edison, Westinghouse, Tesla, Rockefeller, Carnegie and the rest combined. Roy is an expert in Inorganic, Organic, Electro, Thermal and Bio Chemistry, Newtonian and Quantum Physics, Mechanical Engineering, Civil Engineering, Material Science and Advanced Composites. He is an expert who writes, not a writer who thinks he's an expert. Roy has the wonderful goal to make a 1000 new millionaires a week. That is the amount of money you can make in the hydrogen field by displacing oil imports. This book is the beginning to understanding some of the secrets of the energy field and its future that is happening today as you read this. Roy has a wonderful saying, " Prosperity Without Pollution." So few words say so much which are not understood by so many. Too many in the hydrogen field just focus on the last word. Pollution. They totally ignore the real power word in the sentence, which is Prosperity. Roy teaches that Hydrogen creates a wealth expansion economy. Value is created rather than just a service being performed. When a gallon of oil is taken and the hydrogen is removed and the carbon is used to construct buildings, wires, aircraft and really almost anything else then both transportation and physical goods are created. Just burning oil creates transportation, a service, not a wealth creating product. Think of the idea of taking aluminum and steel from a gallon of oil before you turn it into gasoline, how much would that be worth.? Carbon replaces iron and steel and makes the same things these metals can. When you see the word CARBON, in any form, CO2, CO etc.. I do not want you to think pollution or environment, I want you to thin MONEY. Anytime you can keep your carbon, you make money. If you could trap the CO2 from your tailpipe or your furnace, you can SELL IT. There is a world market for CO2, CO and C and this is nothing compared to what it WILL BE in the future. Every pound of CO2, CO or C you trap you can sell. Remember in the 1970's plastics were the future. Today, we can say CARBON is the future. REALLY understanding the diagram to the left, and putting yourself on one of the arrows with the Carbon word on it, can make you a very wealthy person. To REALLY understand this, you will have to get the book. I have been building a personal library of hydrogen and solar related books for most of my professional life and I have to say that Roy's summery of the different types of fuel cells is the best ever written. 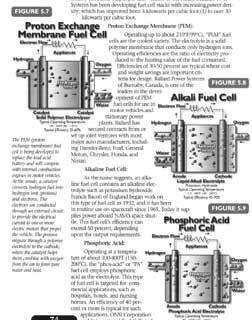 I bet you did not even know there were different types of fuel cells? Today, what you hear about mostly are Proton Exchange Membrane fuel cells, the fuel cells on the Apollo space mission were Alkaline Fuel Cells, the large fuel cells used for some buildings right now are Phosphoric Acid Fuel Cells. 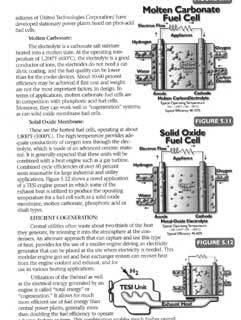 I bet you've never heard of a Molten Carbonate fuel cell or a solid oxide fuel cell. I have a secret for you as well. There is something out there right now, that is MORE efficient than these fuel cells and is 100 times cheaper. What is MORE efficient and cleaner than a fuel cell? That's a secret for us experts to know, but its in Roy's book if you can find it in there. I'll give you a hint, its the reason you WILL NOT have a fuel cell vehicle or a fuel cell in your house, but something better. Hydrogen is a DANGEROUS Journey with Mines in the Road. 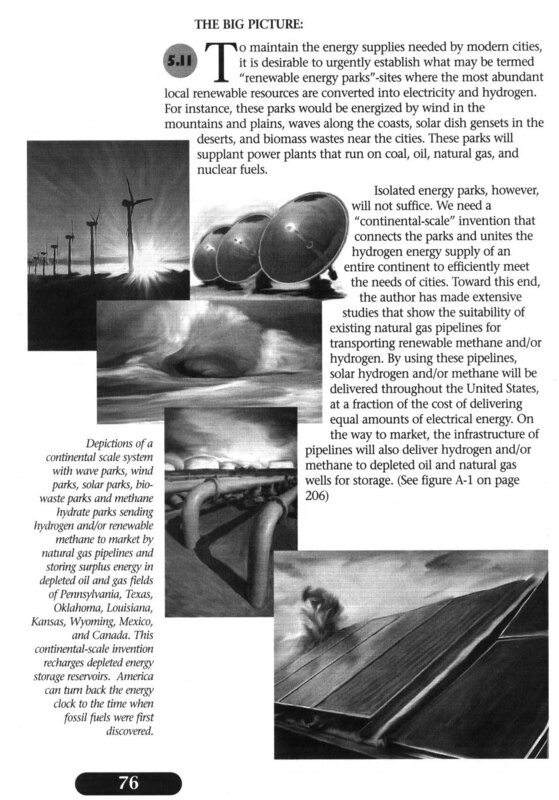 Ok. You are excited about Hydrogen, about the future about the science and the economics of it. You want to learn more and travel the road, but it is hard, long and dangerous and it has mines in the road. Why is it dangerous? NOT because of the Hydrogen. 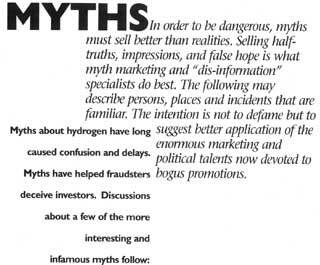 It is dangerous because of the lies, myths and ignorance surrounding the hydrogen field. These are like mines in the road. You see a spot in the road and you don't know if its a mine or just a lump of dirt. Roy's book tells you where the mines are in the road so you can travel safely. 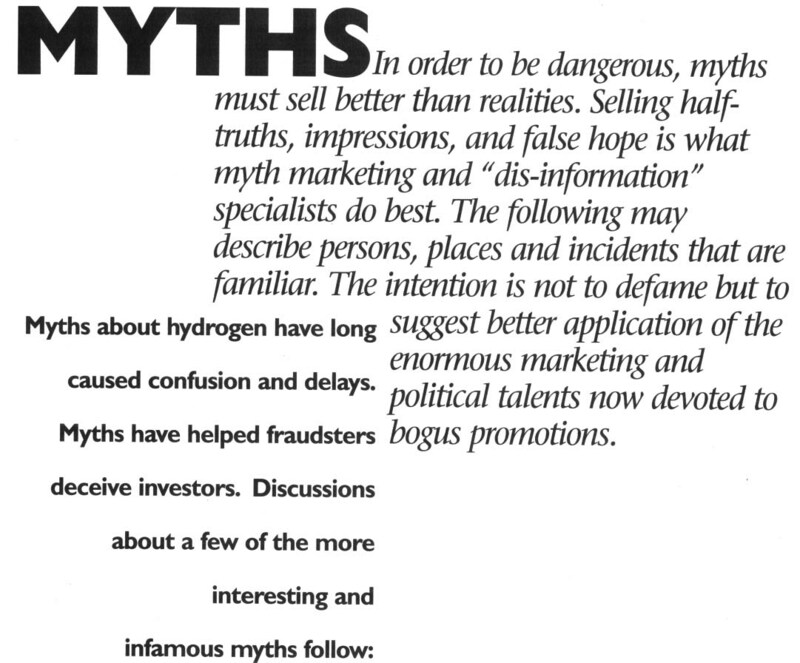 There are more myths than there are truths about hydrogen. The science is clear, the science is 200+ years old. The lies get reinvented every year. Water cars, why the Hindenburg burned, hydrogen safety and much more. Roy clearly and easily tells you the myth and why it is a myth. He tells you the real science. So when someone tries to get your money for magnets or a water car or for something like this, you know not to waste your time and to tell them to take a hike. Myth Example & Great Illustrations & Great Teaching in the book. As I sit here and write this ad for Roy's book, I just had someone write to me about making an engine run on water. They said that supplying the water would not be a problem and they had enough water to keep the engine running forever and they wanted me to tell them how to do it. They said that they knew they could use the energy from the alternator to split the water and run the vehicle. This is called a violation of the 2nd Law of Thermodynamics. It won't work. You get out less than you put in. This is clearly illustrated in Roy's book. 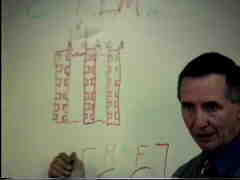 Pay particular attention to the usage of the diagrams and illustration and reinforcement by example. You do not have to be a college graduate to read this book. Anyone can read and understand the fundamental principles of the science and the economics behind the hydrogen future. 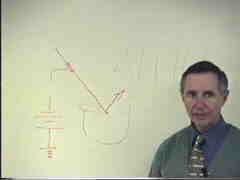 Roy's gift for explanation and teaching is continually used throughout the book for the benefit of the reader. Don't Tell Me.... SHOW ME. Show me is what is done in the book. In the area of the book regarding Hydrogen storage it is one thing to talk about future super tanks made of carbon fiber and current tanks of fiber glass and aluminum and then there old fashioned are steel tanks. 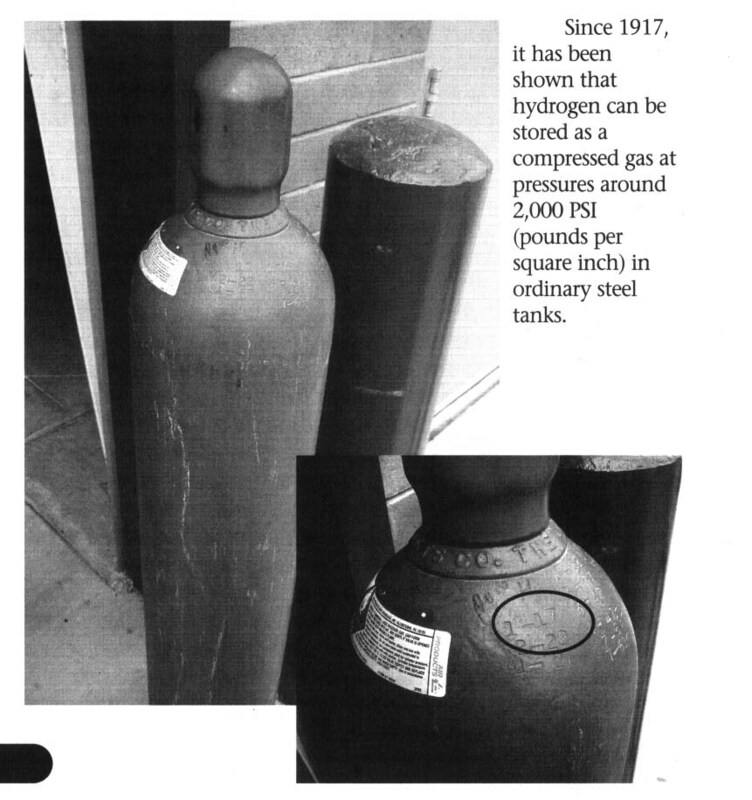 The remarkable statement is that steel tanks hold hydrogen just fine. We make steel tanks by the millions today. These are at world record low prices. You can go get one today in almost any city in the USA. These are DOT rated and safer than a gas tank full of gasoline. Ok..that's great. Nice statement. This is where other people would stop in their books. Roy's book SHOWS YOU. Roy has a tank here that is dated 1917. This tank has held hydrogen its entire life. It was probably used for fueling blimps back during and after World War ONE ! Yes, I said World War One. Roy is a certified professional engineer (P.E.) and a metallurgist. He is qualified to inspect, test and certify pressure vessels legally. 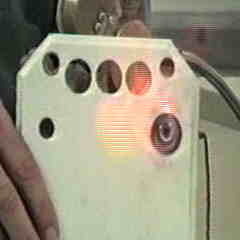 He has sampled, tested and verified the metallurgy and the safety of this hydrogen tank. It passes with flying colors and he still uses this same tank today. So much for the myth and the lies of steel not being able to safely hold diatomic hydrogen molecules. Energy Parks & the Road to the Hydrogen Future. The book outlines fundamental strategies and methods that are achievable for business. The book outlines with maps and details the location and types of energy parks. The usage of current natural gas pipe lines, the harvesting of methane hydrates and then the harvesting of the carbon from the methane and the piping of the hydrogen. The use of the carbon to make ANYTHING that is around you now. 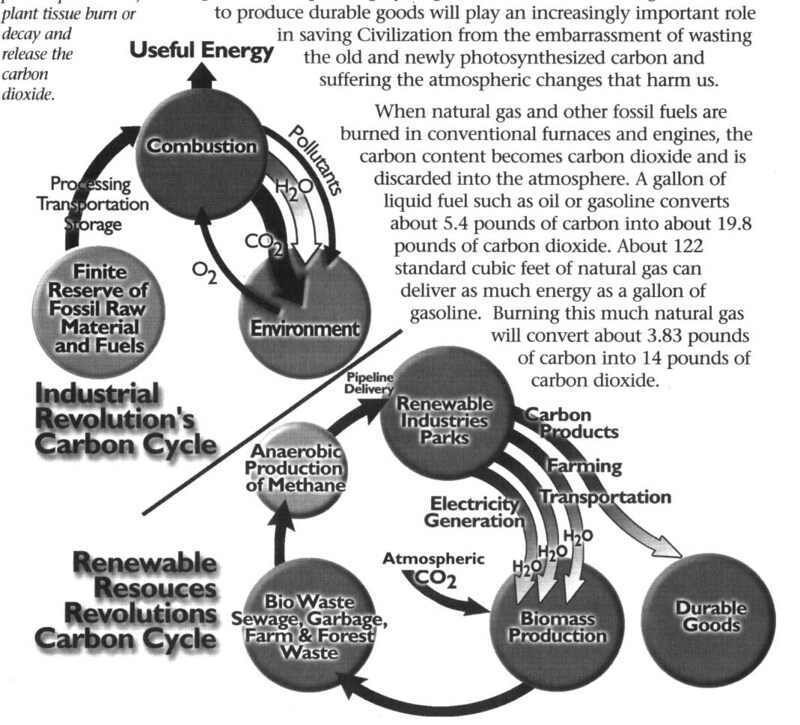 The recapture of methane from biological and agriculture by products. This gives today's farmers a new crop to grow, energy. The book discusses and illustrates the storage of hydrogen in underground oil and gas wells that are currently empty. Solar hydrogen can restock the energy that was in the ground. The real role of wind and wave energy, is it viable or a red herring? its in the book. The future configuration of homes with hydrogen based energy, how is the energy obtained, used and reused. You will quickly begin to realize that we you now think of as waste, is really a resource. The history of the worlds largest business,. especially the chemical industry, have started from the re-use of someone else's waste product. There is waste around you today that are dollar signs for all of us tomorrow. The page to the left is a classic example of the fine graphics and illustration that enrich Roy's book. There is hardly an open set of pages without an illustration, photograph or table. The book is rich in content. Yes, a hydrogen BBQ. As we all get caught up in fuel cells and vehicles and home power and 1000 square mile solar fields and politics it is so easy to loose track of the simple demonstrations and usages of hydrogen. 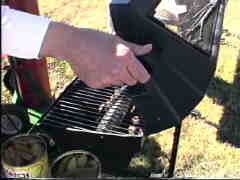 In the middle of every class Roy gives he provides lunch and lunch is cooked on a Hydrogen BBQ. Some of the finest chefs in the world have learned that cooking on hydrogen does not impart any bad flavors into what is being cooked and since the by product of hydrogen combustion is water vapor the food is even more moist and flavorful. The books shows the simple basics of how to convert a BBQ to hydrogen which emphasizes how easy home appliances can run on hydrogen. 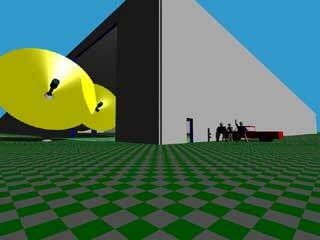 Hydrogen as a Lifting Agent - Hydrogen Balloons ! ...and its not Hydrogen. Most of you are not going to understand this. 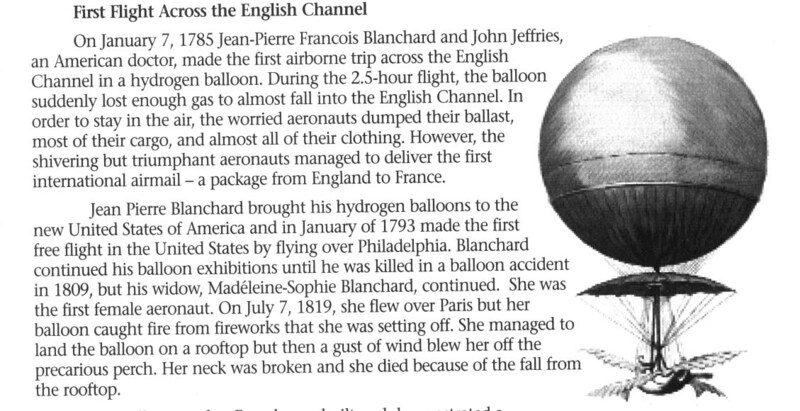 You might have to read this paragraph twice, or more. If you really understand this you will understand more about hydrogen and the future than 99.9% of the wannabe hydrogen advocates out there. This theme is throughout the book and most people don't see it and say they can't see the trees because the forest is in the way. I am very serious here, read carefully. A few examples first; When I was in the Scientific Labs of Chrysler I went to our foundry for a project. ( Foundries melt and pour steel or other metals, in this case for engines.) They had a saying, " We are the only place in the company that "MAKES" anything. Everyone else just assembles the car." This is a very true statement. When someone asks me what type of small business they should start I say, " Candle Making.". Understand this example, making something from a mold is the ROOT of wealth creation. You make something MORE valuable than the ingredients that went into it. 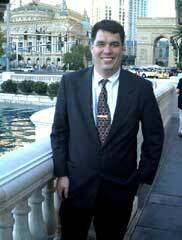 Real estate agents, car dealerships, lawyers, sales people and prostitutes are all the same, they only provide a service. Dollars are exchanged for a service, a wealth or additional value is not created. If I take 10 cents in wax and a 1 penny wick and make it in the shape of a teddy bear and sell it for $10 I've created wealth. Now the point: Gasoline, Diesel, Oil, Natural Gas are all called HYDROCARBONS. <-- See the word CARBON in there. What did I say earlier about Carbon? This means the liquid or the gas is ONLY made out of Hydrogen ( H ) and Carbon (C) atoms. Nothing else. 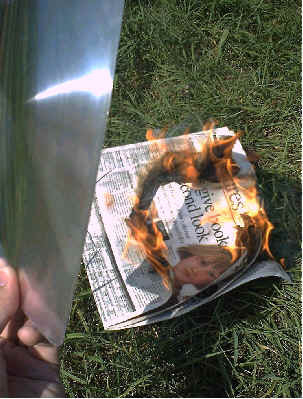 The most common form of elemental carbon you see everyday is either charcoal briquettes or the graphite in a pencil lead. Don't let this fool you. The hydrogen can be removed from the HydroCarbon and used for vehicle transportation and the Carbon can be turned into CARBON FIBER. Carbon fiber is stronger than steel. You can make physical things with it like cars, buildings, beams, plates, rope, houses, fabric, shirts, bullet proof vests. It can also be thermally conductive or thermally insulating so it can be the insulation in your house and it can be the frying pan on your stove. It can be electrically conductive or it can be an electrical insulation. So it can replace copper wire AND in another formulation it can be the insulation around the copper wire. Carbon can and will build the world. 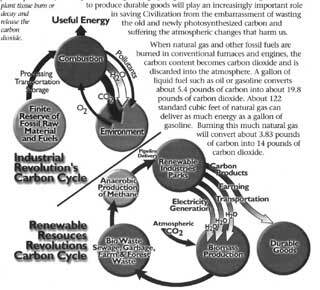 So when you take the Hydrogen out of the oil and use it for fuel ( that is a service ) you also take the carbon out of the oil and you make things ( you create wealth ). 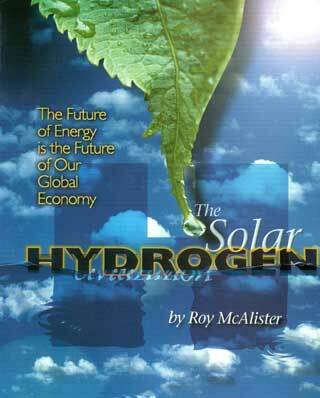 That is what Roy means by Hydrogen being the key to a Wealth Expanding Economy. You can either read his book or you can understand it. The choice is yours, but you won't find this in anyone else's book. Read this paragraph twice. Solar Hydrogen Civilization is 238 Pages, perfect bound and professionally printed. Big enough to stop a small bullet or a large dog. Buy TWO of the Items - Combination Special + Save on Shipping. 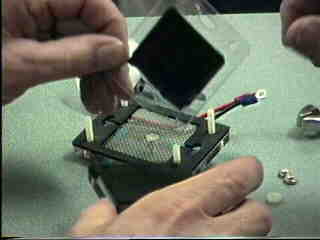 High Temperature FUEL CELLS Work. 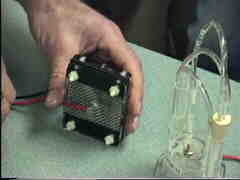 How Electrolyzers Work, How to Make One. 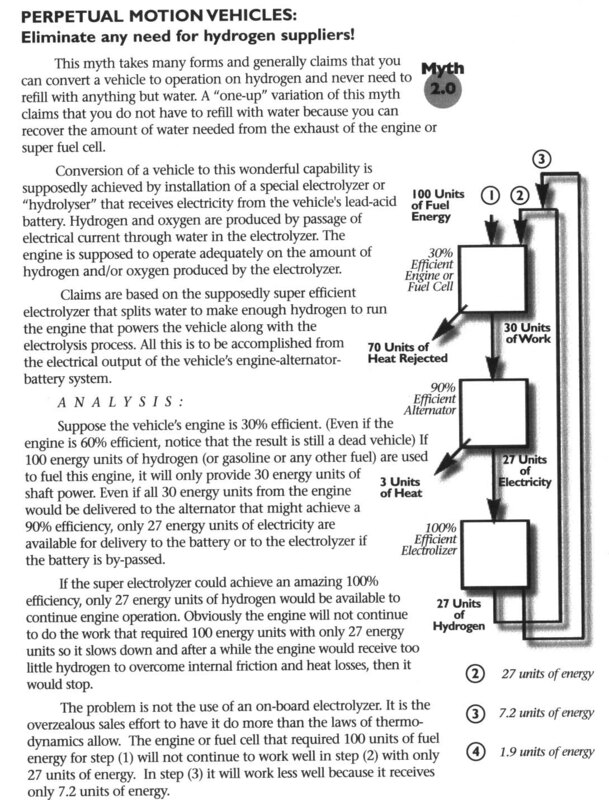 Some of the details, problems, and solutions of running a vehicle on hydrogen, natural gas or other alternative fuels. See the 20+ year old vehicle that has run on hydrogen for over 200,000 miles. See an actual palm sized Proton Exchange Membrane fuel cell assembled, working, and then taken apart and then put back together again. Get a tour of a state of the art hydrogen lab and see its equipment. See a Large Reversible Fuel Cell, Storage Tanks, Electrolyzers and More. 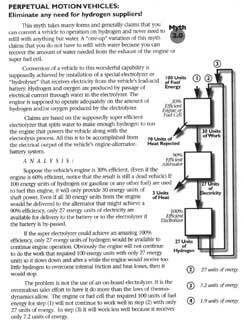 Complete Diagrams and Chemical Formulas. The Instructor, Roy McAlister, Works with the class interactively drawing, showing, explaining everything as he goes along and the class asks questions. LEFT TO RIGHT: Fuel Cells are NOT silent little boxes, large ones must have the waste heat removed, flow channels and heat exchange are critical and Roy explains this in detail. How is hydrogen to be made in the future? How can we do it today? 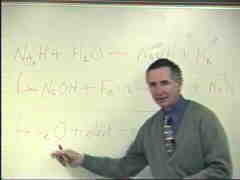 It is 100 year old chemistry and Roy shows the Sodium Hydride cycle of NaH + H20 --> NaOH + H2 and how to reclaim the caustic and recycle it to produce more NaH to react with more water to make my Hydrogen. This class is Science. You don't have to be a chemistry student or an engineer, Roy shows you everything. Did you know that hydrogen can be made from water with aluminum. There are cars running right now on aluminum wire and water, there are advantages and disadvantages, but you'll see how aluminum wire and water make hydrogen plus much more. THIS IS THE REAL SCIENCE. 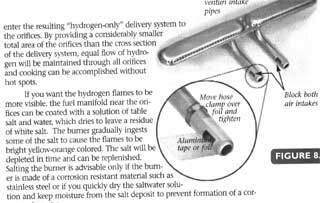 See how to make hydrogen from aluminum and water. buy the DVD and actually understand that you can do this metal-water chemistry with almost any metal and water. Learn how to do it better than aluminum and drain cleaner, use other metals, scrap metal & learn the hydrogen safety needed. Use this "metal-water" chemistry to make trash bags float away into the sky, we do it for the neighborhood kids all the time and they love us. Thomas Edison was going to send IRON plates to homes, like they delivered ICE, and the iron would be used with water to make hydrogen to power & heat a house ) Many more little known facts are in the video. Convert your vehicle, Listen to methods on alterative fueling of vehicles. 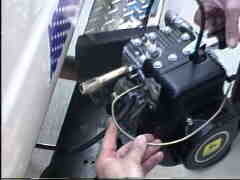 SEE an engine RUN on hydrogen and much much more. Want SOLAR information you can start using RIGHT NOW at Home?! NEW, Expanded Version, Larger, Now in FULL COLOR! Heating and Cooling Things I did That You Can Do Too. 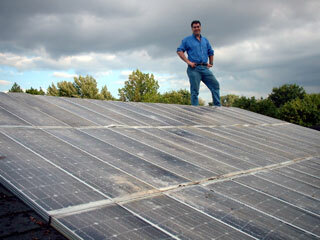 There are 54 Panels in this one solar array I have on my garage. 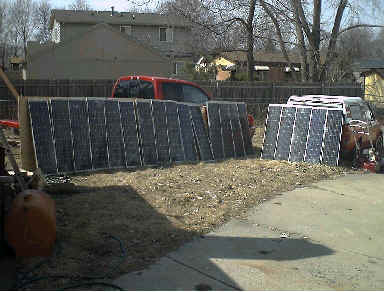 These are HALF of the solar panels I got FREE. There are solar panels available for free in every state. This is NO joke, the panels are slightly degraded but work fine. 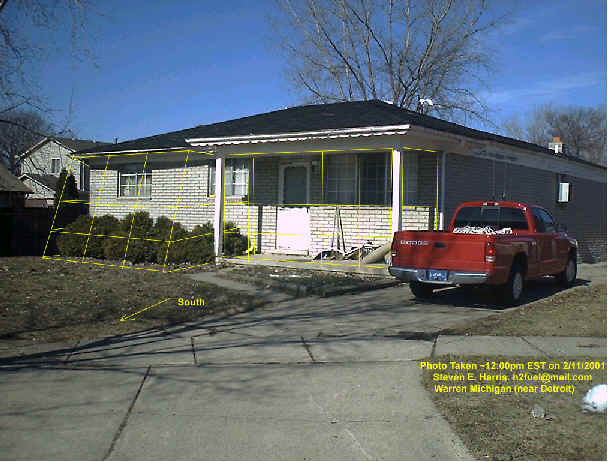 The 10 panels in the right photo are dumping over 35+ amps at 12 volts in October Michigan Sunshine. I got all of these panels ( over 60 so far) just for asking. This is a photo of the panels when I got them and a photo of the panels assembled on my roof and providing FREE electricity. I run the lights in my basement on the panels and in the summer time I power fans with the panels. Sometimes I don't even use a battery. My guys just called me, I have to go pick up another 20+ panels from them. Hey, Photovoltaic panels are NOT the only type of solar energy, personally I like solar heating MUCH better, its just glass, cardboard or wood and insulation, or just glass and cardboard. FREE GLASS is available in EVERY CITY in the USA and around the world.. 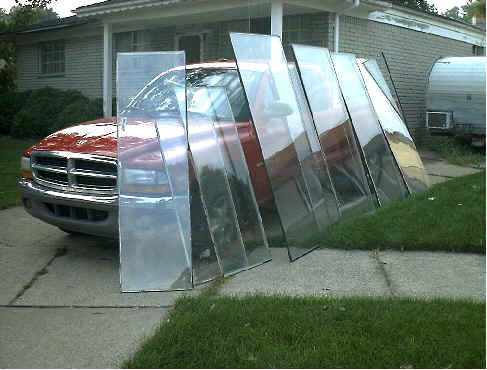 I have enough FREE glass that I had to stop taking it, I can COVER MY ENTIRE ROOF with glass if I wanted to. 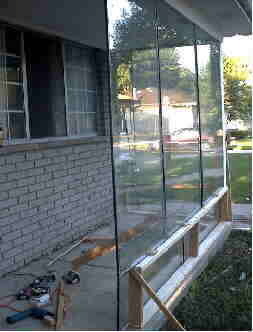 This is FREE, double wall, insulated safety glass. 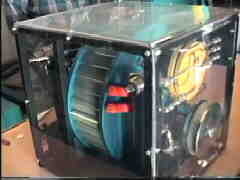 I use this to make solar ovens and to make solar hot air heaters and hot water heaters. 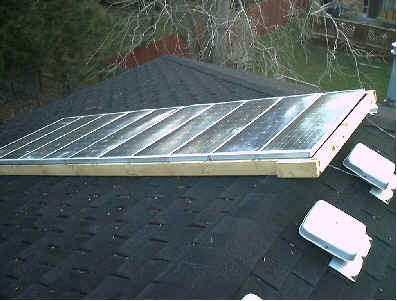 In Michigan, on January 1st, 2002, it is 25F (-4C) outside and in my simple solar heater it is 125F (50C). I show you how to make heaters and how I am making a little solar greenhouse out of my front porch that heats most of my house in the winter time. I tell you what to do the glass when you get it. Almost every page has 1 or 2 photos on it, some pages have 6+ photos, this is a HIGHLY visual, photo documented book. Oh yeah.. Easy and FREE or almost FREE. ALL photos in this Auction are ACTUAL PHOTOS from the Book. 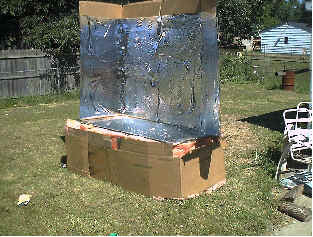 This entire solar oven cost me $9 to build (almost free). $5 for clamps, and $4 for the black paint. EVERYTHING else was free. This oven gets up to over 350F (175C) and it can bake OVER 20 loaves of bread at once and between 80-100 loaves a day in June Michigan Sunshine. This is NOT rocket science, this is simple enough for a middle school student to do. It gets hot, but it is not dangerous. This is just glass, cardboard, insulation and aluminum foil. I not only tell you but SHOW you how to do it. I don't spout theory about how it could be done, I DID IT, I took PHOTOS then I SHOW YOU HOW to build it. and hot water heaters, and hot air heaters and much more. 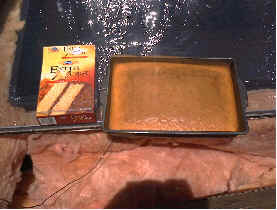 These are some of the things baked in the oven. 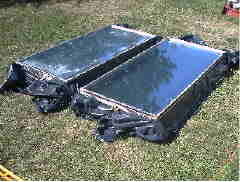 Food from a solar oven tastes SO GOOD, and it does NOT heat the house up in the summertime and it is almost impossible to burn your food in a solar oven. Plus, its just plain fun, almost like magic. 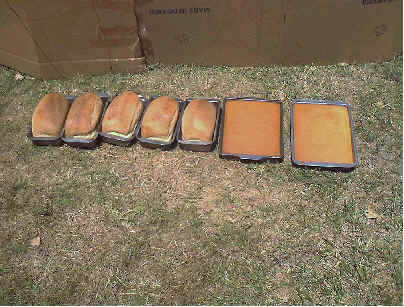 On the right is the FIRST CAKE I baked, then I baked bread and you can see that I baked 5 loaves and 2 cakes at the same time. 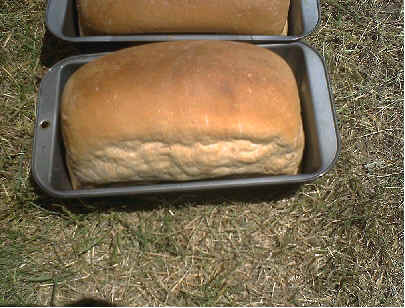 It took 1.5 hours to bake all of these at once, oven temp was OVER 300F (150C) during baking, again, June Michigan Sunshine, this WAS NOT Arizona, and you CAN bake in the winter, just as long as it is sunny. These get to over 3000F (1650C) and you can melt pavement with it. Some of these lenses are over 3 feet by 3 feet. These have an incredible heat to them. This is but a few of the things I show you how to do, there are many many more in the book, all photo documented and easy to do. I did these at MY house, you can do it at yours as well. The photo above is of a 7" by 10" Lens (7 inch by 10 inch). See my other auctions for this item. This are described as a pyromaniacs dream. You should see what a 3 FOOT x 3 FOOT lens does. Wood explodes in flame. Now THAT is SOLAR POWER !! If the sun is out, these get HOT. A 6th grader can build one in 30 minutes (serious!). You see this being built step by step in the book. The new version of the book ( this one you are reading about) also shows how to use the units pictured above to turn SALT WATER ( Sea Water, Ocean Water) into FRESH Water. This is drinking water, this is distilled water. Drinking water is LIFE. The units will even convert urine to drinking water. Ok...you did not want to know that...but it will do it. Yes, no kidding. How to make a heater for a window for pennies. It really works. Turn any south facing window into FREE HEAT. We show how and why it works in the book and of course, how to build it in the book. Warning: this is complicated, you might need a pair of scissors and some duct tape. In the book, I show 77F air is coming out of the heater in a 67F room. ( Hey, Michigan, February, its COLD ). I keep on getting emails from excited readers telling me that I'm WRONG, they tell me they are getting 85F out, and 92F out. Of course, they were a little farther SOUTH than I am. It works, sunshine is free, its falling on your house and in your window. ICE MAKING and Home COOLING! 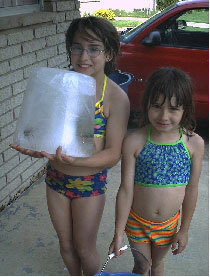 Find out how we made this 25 pound block of ice the girls are holding. We made it VERY simple, VERY easily and VERY efficiently. You don't need a refrigeration license to make this, but you might need a hack saw. No soldering, no welding, everything was either off the shelf or FREE. 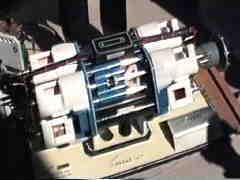 The system could even run off your car cigarette lighter socket, lots of ice for the scout trip into the wilds. This is 100 year old technology with 2003 year items. It was easy, a 6th grader could do it for a science fair. That block of ice was made in the bucket the other girl is holding and NO I did not make it in a freezer! There is MORE cooling in the book as well. Cool your house while you water the lawn, or flush the toilet. WHAT ELSE IS IN THE BOOK? Much much more. I can't print the whole book in here can I?? What I really, really want to emphasis, is this is really a hands on book. This is NOT THEORY. simple, as easy, as fast and as CHEAP as I DEMONSTRATE in this book. I should know, I have one of the best solar book libraries in the world. Turn off the darn TV and get my book. The Discovery Channel is NOT learning, its entertainment. This is REAL science, this is learning. I am an industry professional in the Fuel Cell, Hydrogen, Solar, BioMass and in the Energy field in general. I did the experiments, I took the photos, I wrote the book, I sell the book. you in my book: Sunshine to Dollars. I don't just do things in life. I do things with photography and video and then teach others! when are you going to do something with it? Praise : Useful, interesting information, very clear and practical. Now we need some sun! Praise : Book is nicely illustrated w/ lots of pictures. I will look forward to using it. Praise : Great communication! Great product! Would do business with again. Praise : Interesting information, will be put to good use, thank you! Praise : Fast shipment, nice person to deal with, thank you! Praise : Thanks for the service. Easy transaction. Praise : Thank you so much for the extra effort on your part. It works great! 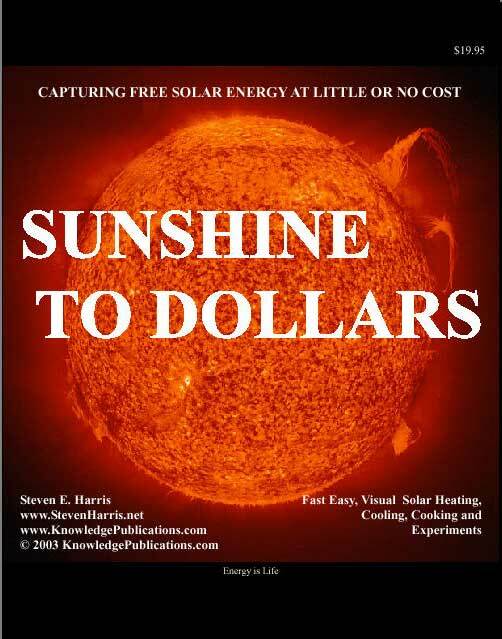 Praise : Good book about solar energy. Praise : great practical information, pleased with purchase. Praise : Great transaction! My kids and I will have fun baking in the sun! Praise : Superfast delivery - thanks! Praise : Useful product, great price, excellent service & fast shipping. Thank you! Praise : Shipped, as soon as I sent the payment, this guy is fast "Highly Recommended" !! Praise : Very useful information. Thank you!!!!!!! Praise : Well packed. Interesting book !!!! Thanks again !!!! Praise : book arrived in great condition and is easy to follow. Praise : wonderful person, great book, recommend this author to everyone! thanks so much! they're paying for their energy. I ate through the book in a few hours. Got a lot of very interesting info and an understanding of solar energy that's going to give me a lifetime's worth of free heat. A Life time of Free Heat...What a statement. Thanks Chris! That is exactly what this book can give you.